Coilcraft’s new 1812CAN series common mode chokes provide noise suppression on CAN (1 Mbps) or CAN FD (5 Mbps) data lines in automotive and industrial automation applications. They can also be used for the FlexRay automotive bus system. 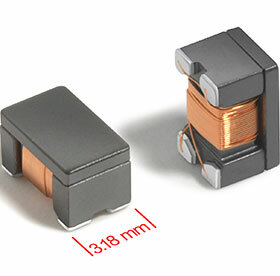 Measuring just 4,95 x 3,18 x 3,0 mm, the low-profile 1812CAN series is offered with inductance values from 11 to 100 μH to filter a broad range of common mode noise frequencies with high attenuation. It offers up to 60% lower DCR than other CAN bus chokes, resulting in much lower losses on differential signal lines. The 1812CAN series is qualified to AEC-Q200 Grade 1 standards (-40°C to +125°C ambient), making it suitable for automotive and other harsh-environment applications. It features RoHS-compliant, silver-palladium-platinum-glass frit terminations and offers a maximum reflow temperature of 260°C.